a little spendy. 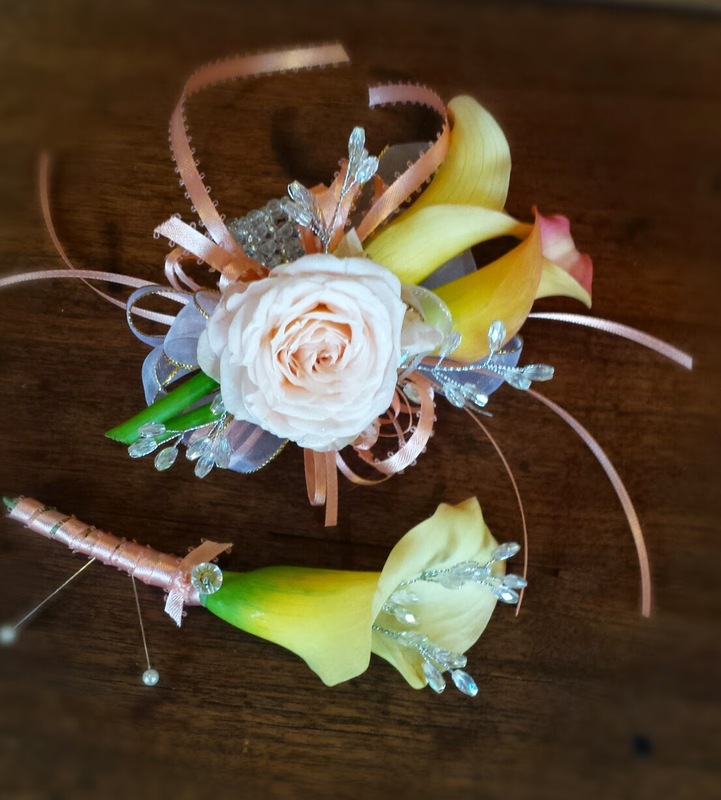 Their graceful shape help make an elegant corsage. 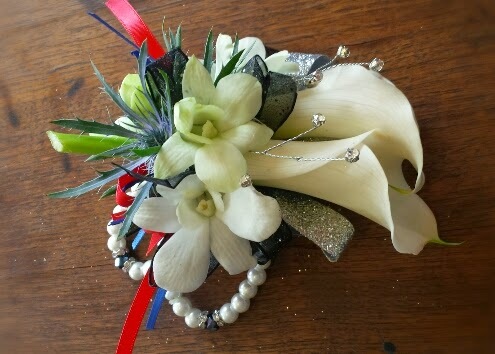 A couple callas with three orchid accents... gorgeous! 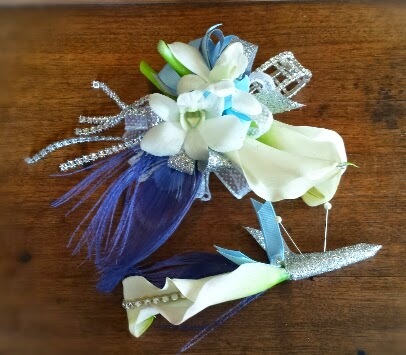 This white & blue design was one of my favorites- you can't see it, but I added rhinestones to the inside of each lily in the corsage like you see in the boutonniere. ribbon base the way you like... BEFORE you glue! 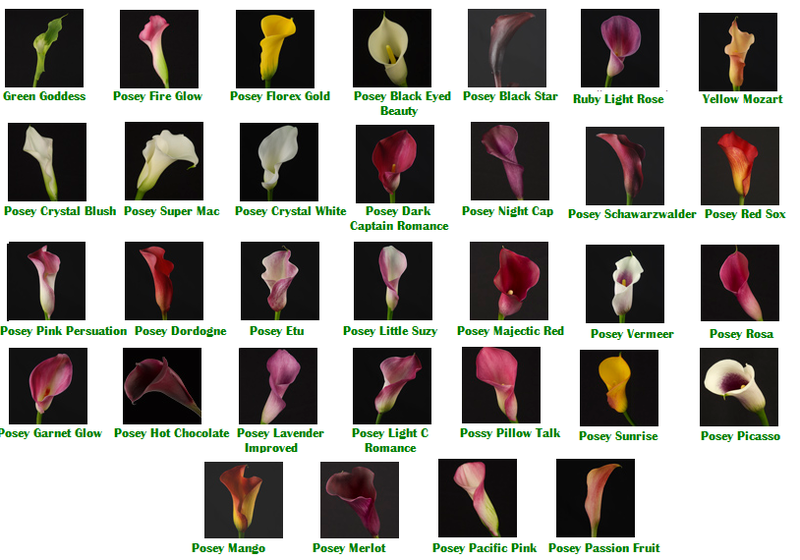 As always, contact your local florist early so these flowers can be ordered for you if needed. This is really cool, and I enjoyed a lot. Thank you so much for sharing here.. Keep updating!